Stephen Perse Foundation students compete at the District Cross Country Championships. 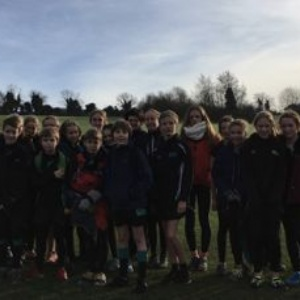 It was typical cross country weather, bitterly cold, but with the sun shining when a large contingent of students from The Stephen Perse Foundation took to the cross country course at Netherhall School. They were competing against the best students in the Cambridge district at the District Cross Country Championships. The course was challenging but fast and the students revelled in the challenge and did not disappoint, achieving superb results. Most notably Isaac Morris won the Junior boys race with a very controlled and confident race, even more impressive due to the fact that he was competing against many athletes a year older than himself, showing that Isaac is a real talent. Outstanding performances also came from the following students, they demonstrated great running ability and all qualified to represent the Cambridge District at the County Cross County Championships. We are very proud of all those who participated and wish them every success at the Country round!